Given that Hogwarts resides in the Scottish Highlands, it seems a bit of an oversight that Harry Potter is only now being translated into a Scottish language, but nonetheless we are delighted to hear about any new translation! 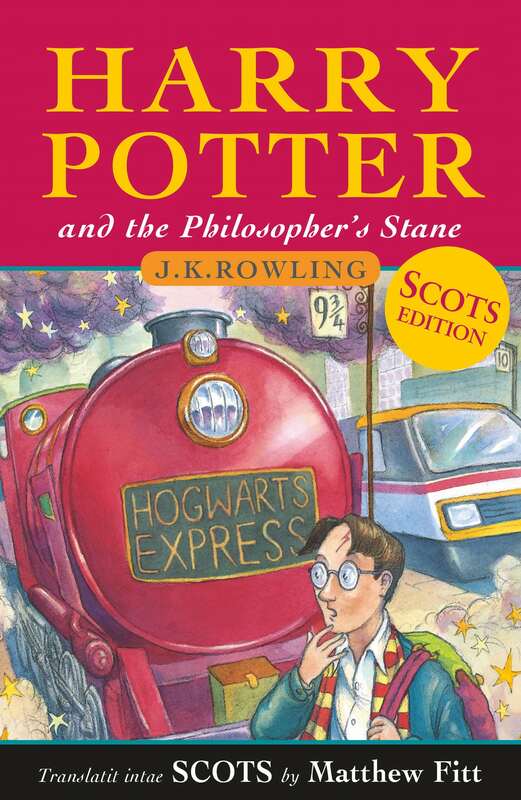 The announcement that Philosopher’s Stone would be translated into Scots appeared on J.K.’s site on 2017-06-28 and the book was released on 2017-11-23 by Itchy Coo (an imprint of Black and White Publishing). You might be thinking, ‘Wait, isn’t that just Scottish accented English? I can understand most of it!’ and you could be forgiven for being confused. People are not generally aware that Scottish English and Scots are recognized as separate languages. Furthermore, both need to be distinguished from Scots Gaelic (more on Scots Gaelic below!). Comparing Scots and English really gets to the heart of the question “what is a language?” What is the difference between a “dialect”, which is generally considered a variant of a language, and a separate language? Many of the translations and adaptations of the Harry Potter books raise this question, but, for native English speakers, particularly if they are monolingual, its hard to really understand without cases that connect directly to English and those are harder to come by because of English’s status in the world. Language tends to be as gradient as the populations that speak them. Let me explain what I mean by that. 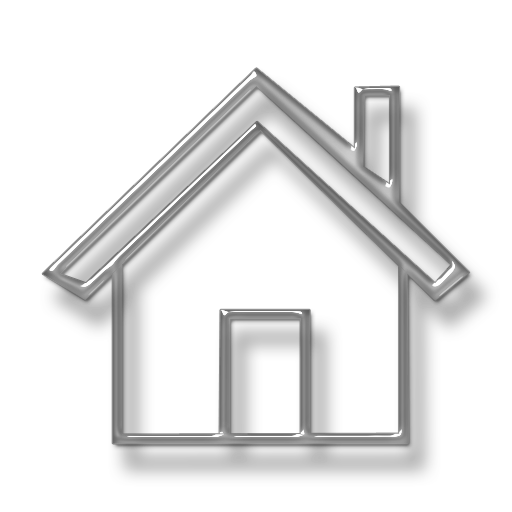 Where communities of language speakers are geographically isolated for long periods of time (generations) and there is little communication with people that speak other languages, you will find languages that are easier to define. In fact, this kind of scenario is ripe to create language divergence where different communities of speakers of the same language will, over generations, end up speaking different languages. Think of how Latin evolved into the Romance Languages like French, Spanish, Italian, Portuguese etc. as colonies of the Roman Empire developed independently during an age when communication was difficult and time-consuming. Where communities of language speakers are in close proximity and close communication, the boundaries between those languages get fuzzier, more gradient. “Mutual intelligibility” is usually considered one of the criteria determining whether two communities of speakers speak two different languages; that is—whether they can understand each other. But that can vary quite considerably too: a German speaker living on the border of Germany and Switzerland is far more likely to be able to converse easily with a Swiss German speaker than a German speaker that grew up on the other side of the country. Myself, because have spent a lot of time in the company of UK English speakers, Scottish English speakers and Australians and because I consume a lot of media from those countries, I have an easier time understanding some of the more extreme dialectal variation in English than others who haven’t had that contact. Where contact is extreme—such as the case with Scots and English, where English is the dominant language, where for all intents-and-purposes every Scots speaker is also fluent in English—language convergence can occur, where the languages influence each other and become more similar. The impact may not be equal—undoubtedly English has had more of an impact on Scots than Scots has had on English—and the impact is often in different linguistic areas. The impact of English on Scots is primarily in vocabulary and grammar—this probably accounts for most of the similarity that you see in the first paragraph of Philosopher’s St(o/a)ne—and the impact of Scots on the English spoken in the area is primarily in pronunciation. Not all language contact results in convergence—a lot has to do with the speakers themselves and how much of their identity is embodied in the language. Most often, the result is just extinction. Many languages of the British Isles have already died and the remainder are spoken by increasingly smaller populations. This still may be the fate of Scots. An estimated 75% of the world’s languages will die out within a generation. One language I worked with in the 90’s—a local Amerindian Language—had 61 native speakers at the time, all of whom were over 50. I’m not sure what its status is now, but if it hasn’t died out yet, it will soon. One big factor in deciding what constitutes a “language”—and one that can be, unintuitively, as important as any other—is opinion and politics. There are separate translations of Harry Potter in Serbian, Croatian and Bosnian, even though the difference between the spoken “languages” is less than some dialects of English you’d find just in London! But politically and culturally for those communities, it is critical to those communities to consider and name their languages as distinct entities. That may seem linguistically irrelevant and like it shouldn’t factor into a decision—and in some circumstances linguists may treat them as the same language—but the fact is that such division, over generations, is quite likely to result in stronger language divergence and more clearly distinct languages. You can’t separate language from its communities of speakers—that are one in the same. Sadly, it appears that Scots doesn’t have a lot of opinion in its favour. Although, historically, Scots most definitely was a distinct language, most Scots (the nationality) don’t still consider it to be one and even many Scots (the language) speakers don’t either. Speakers of a minority language must find pride and value in speaking their language or they simply won’t and it will simply die out. I suspect that this translation was a deliberate attempt to validate and elevate the status of Scots amongst its speakers and generate more linguistic pride. If you were aware that there were any other languages besides English were spoken in Scotland, the one you most likely knew about is Gaelic (or Scots Gaelic or Scottish Gaelic), even though there are about half as many native speakers (~57K) as Scots (~110K). Back in 2008, there was an announcement that Harry Potter would be translated into Scots Gaelic (I actually even was able to pre-order it!) but the translation never happened. The only similarity between the languages Scots and Gaelic though, is the “Scots” that is sometimes used (indicating nationality) to prefix Gaelic and distinguish it from Irish Gaelic which is most commonly just called “Irish” these days. Scots and Gaelic don’t even belong to same language families: Scots is a Germanic language (as is English) and Gaelic is a Celtic language (like Irish and Welsh). Several things are gratifying about the Scots translation of Harry Potter. First, it’s just exciting that after 20 years it is still being translated into new languages! The passion for Harry Potter has not waned! In fact, and this is the second point, Harry Potter is being used to foster education and pride in minority languages. Any individual who can read the Scots translation, undoubtedly could also have read the English, but the fact that they now have the opportunity to read it in Scots only serves to bolster a language that may be dying out. Thank you for catching that! It’s fixed! Next story New Mongolian Translation of Philosopher’s Stone and Chamber of Secrets!